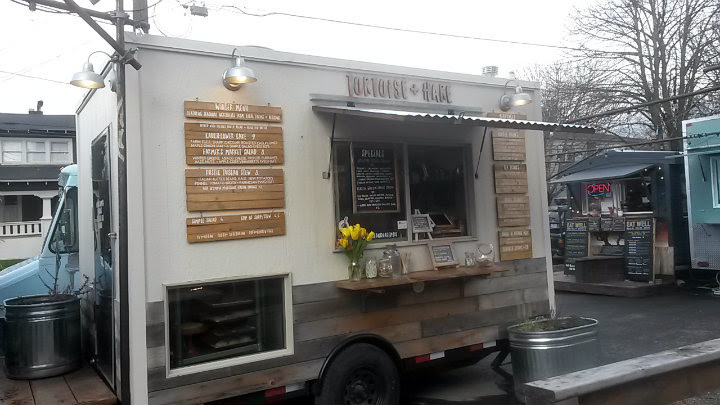 Tortoise + Hare is located at the Tidbit food pod (SE 28th and Division) in Portland, Oregon. 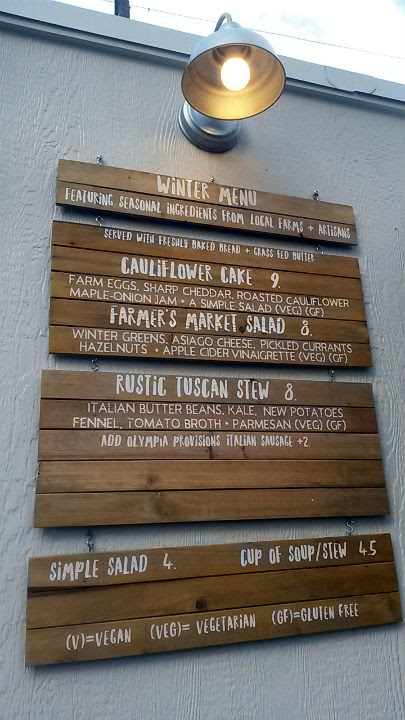 When Bri (one of the founders of Tortoise + Hare) appeared on Tasty Tuesdays in April 2016, it appeared that the Rustic Tuscan Stew would be on the menu year-round. If it's a very popular dish (and it probably is), I'm all for it. 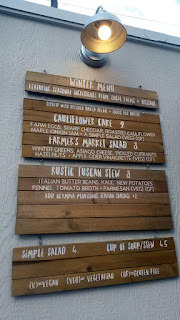 In fact, I probably would have gotten the Rustic Tuscan Stew on this visit had it not been for the dish noted below. 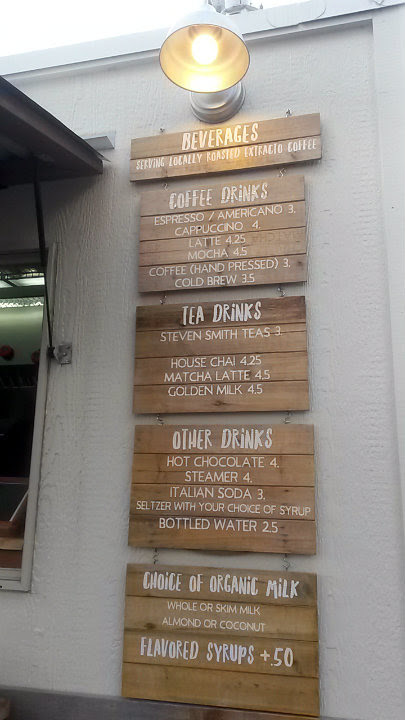 The drink menu includes espresso options, cold brew, Steven Smith teas, and hot chocolate. 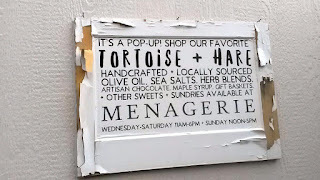 Tortoise + Hare even sells their own products (which include olive oils, sea salt, herb blends, artisan chocolate, and maple syrup) at Menagerie four days a week. 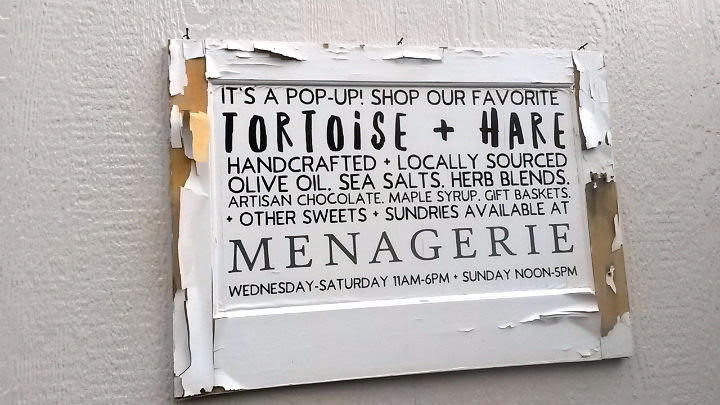 Menagerie is also in the Tidbit pod, in the SE corner of the lot. 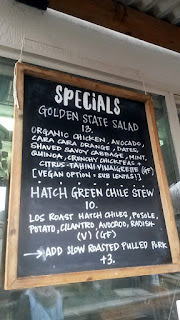 One of the specials running in mid-February was a dish that I couldn't pass up. 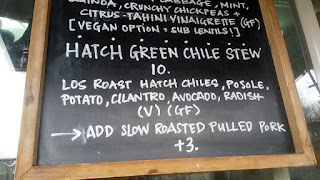 Hatch Green Chile Stew. My love of New Mexico is alive and well, folks. 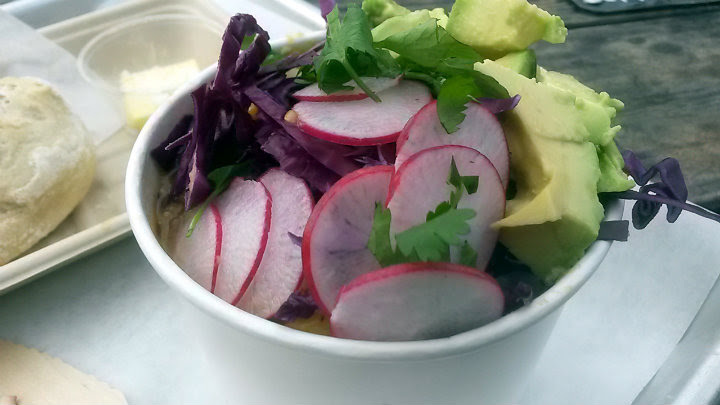 Hatch chiles from Los Roast (another Portland company), posole, and potatoes, topped with cilantro, radishes, and avocado. 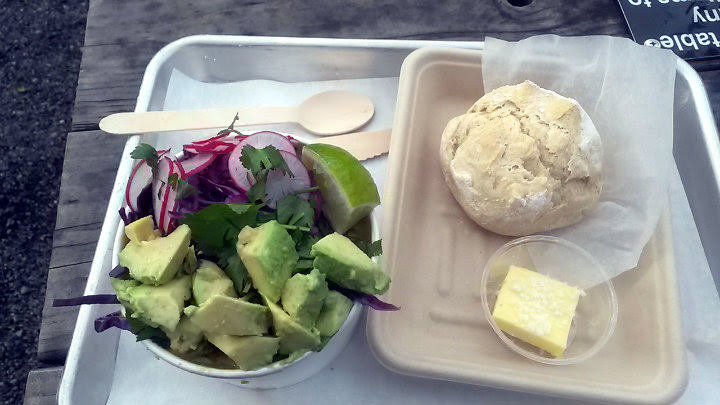 It's vegan and gluten-free. 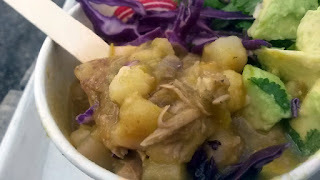 But nope, my stew didn't end up vegan. I also added their pulled pork (done carnitas-style and left to get even happier in the stew) for $3 more. Because protein gainz. The stew is served with a house-made roll and butter. Their sea salt is on top of the butter. There's a bunch of toppings there, but once you get to the stew, it's glorious. Warm and hearty, as it should be. Excellent posole and pulled pork. I also loved their roll, which has a chewiness and slight crunch. It is perfect for dipping in the stew, or adding a helping of the stew on top of a piece before stuffing your face silly. 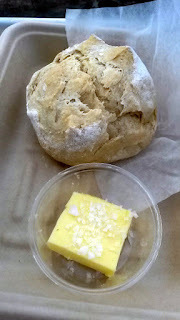 Great use of the sea salt on the butter.